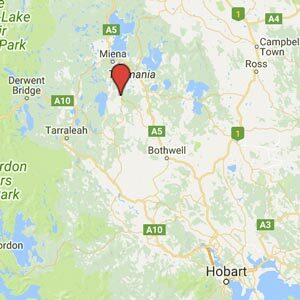 Waddamana - an Aboriginal name meaning noisy water - is near the geographical middle of Tasmania. It's a detour down gravel roads from the Highland Lakes road between Bothwell and Miena. Being a gravel detour off a road seldom used by tourists means it doesn't get hordes of visitors. In winter the dirt roads in that area can be a little slippery ... at times too slippery for comfort when driving a rental vehicle where the slightest damage can cost a lot. That is why I had previously bypassed Waddamana. But in drier weather the roads are fine, so on an autumn trip I finally made the almost traffic-free journey to the old power station. From the north, the final part of the approach is a descent into a valley. Driving downwards, from the undulating heights of Tasmania's central plateau into the valley where Waddamana sits, graphically illustrates the drop in altitude which provided the energy for a power station. When turning off the through-road it become apparent that Waddamana is a village, not just a power station. The housing and other structures used by the hydro workers also remain, although no longer used for their original purpose. 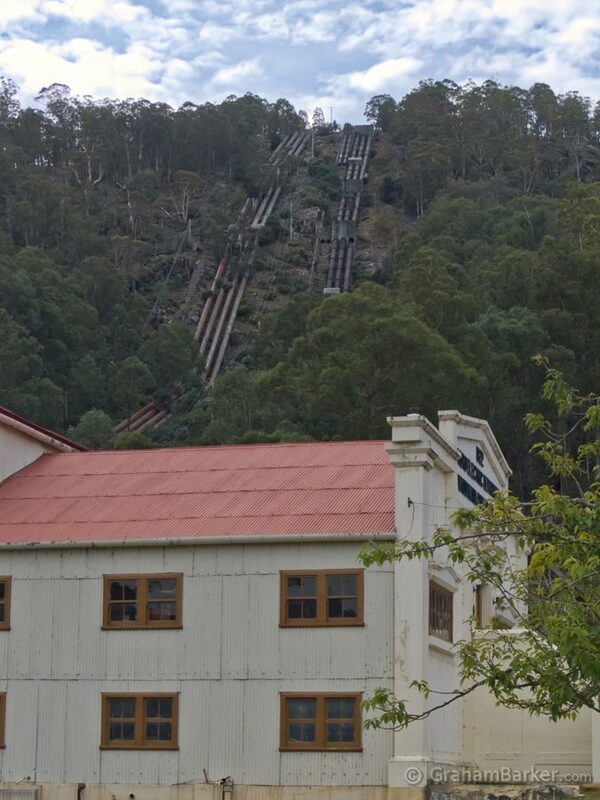 The power station is easy to find, being the big building that the pipes coming down the mountain lead to. Entry is through the upstairs offices, which have been preserved as they were when the station was decommissioned in 1964. 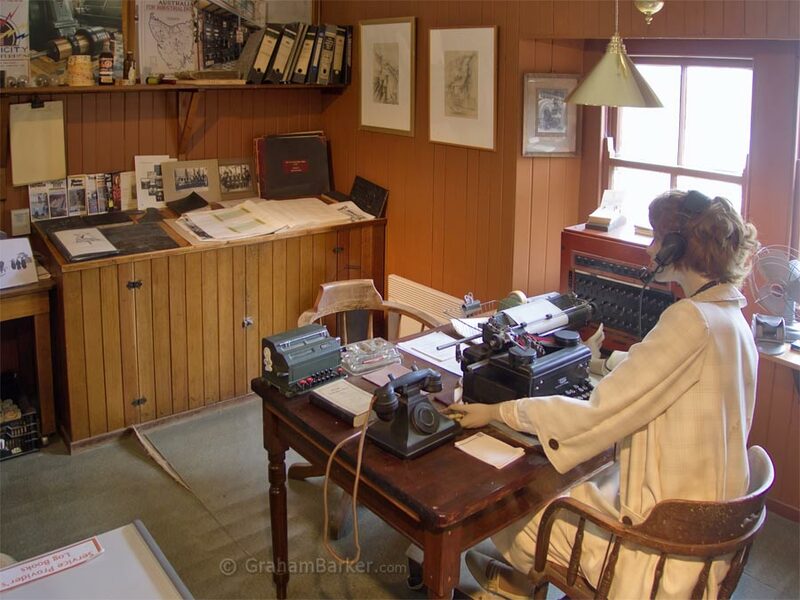 It's probably the most authentic display of a 1960s office environment you'll see, because that's exactly what it is - the real thing, not a re-creation. There are even a couple of mannequins in period clothing to add to the spooky feeling of having been transported back in time. 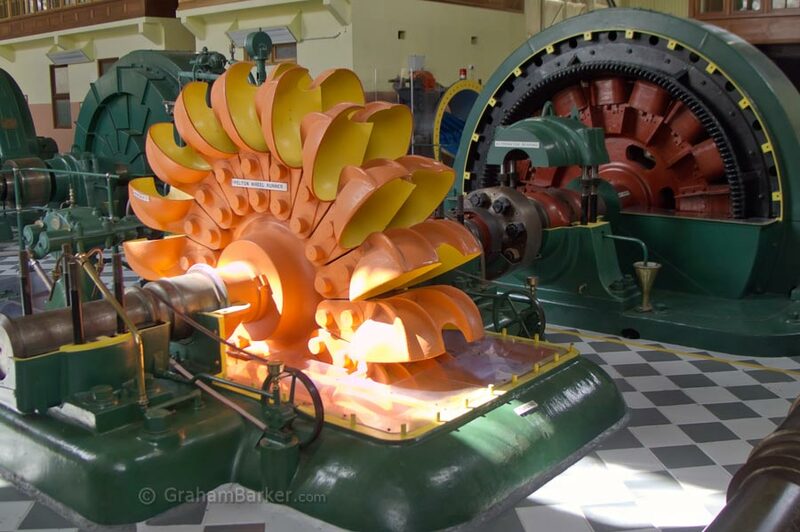 The main drawcard is the equipment of the power station, left pretty much as it was when the turbines were switched off for the last time. Some power stations offer tours, but if they are operational then access is restricted, by necessity. The advantage of Waddamana is that you can freely wander around most of the station and get up close to most things of interest. I was surprised how enlightening that could be. Like most people I was aware of the basics of how hydroelectric power works, and have seen diagrams of how water in pipes turns turbines to generate current. So would seeing the equipment firsthand make any difference? For me it did. Some of the turbines and other parts have housings removed, so you can see where water is piped in, the buckets it pushes against, and the valves used to control the flow. Everything is well labelled, so you can see which bit does what, and why. Also present, and labelled, are many of the tools used. Electrical meters, a wide range of cables, a tool store with tools I never knew existed, and some of the most gigantic spanners you’re ever likely to see. 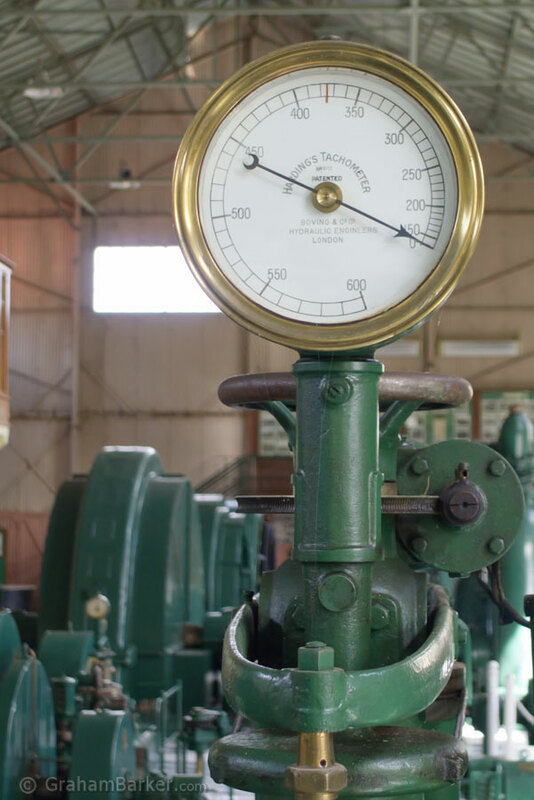 The power station gear is complemented by artefacts that provide historical context. Upstairs near the control room is a collection of ancient kitchen and office appliances that Waddamana electricity would have powered in 1916, when it opened, and the decades after. 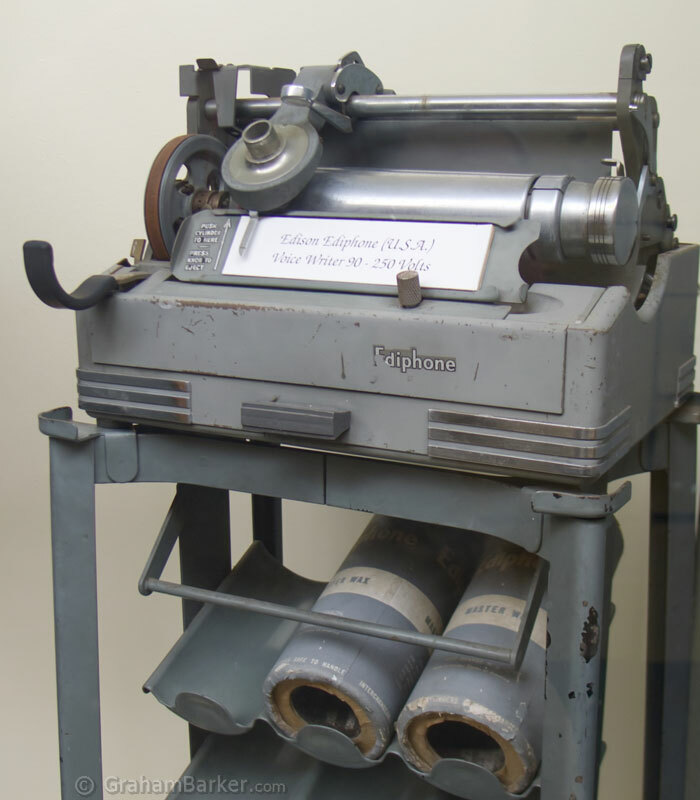 One was an Edison Ediphone Voice Writer which recorded dictation onto wax cylinders. I would never have expected my first encounter with such a historical device to be up a remote valley in the Tasmanian highlands. Being a museum, there are also informative displays with text, diagrams, lots of historical photos, and a repeating video that was more interesting and watchable than I expected. Staff are on hand for questions, but otherwise it is a self-guided experience. The comprehensive signage and labels make it easy to just wander around without missing anything, although there is a handy brochure with the layout and plenty of details. So who would enjoy visiting Waddamana? 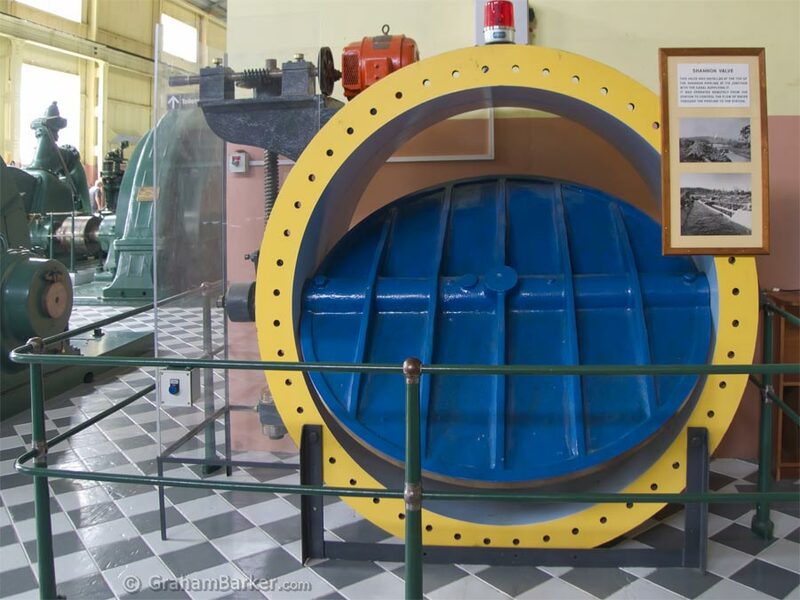 I think anybody with a bit of curiosity about how things work, or history, would get something out of a visit to the power station museum. It's presented engagingly enough to not require any special interest in big engineering projects. Some of the displays are clearly aimed at making it an educational experience for children ... but I would stretch that to include "children of all ages". 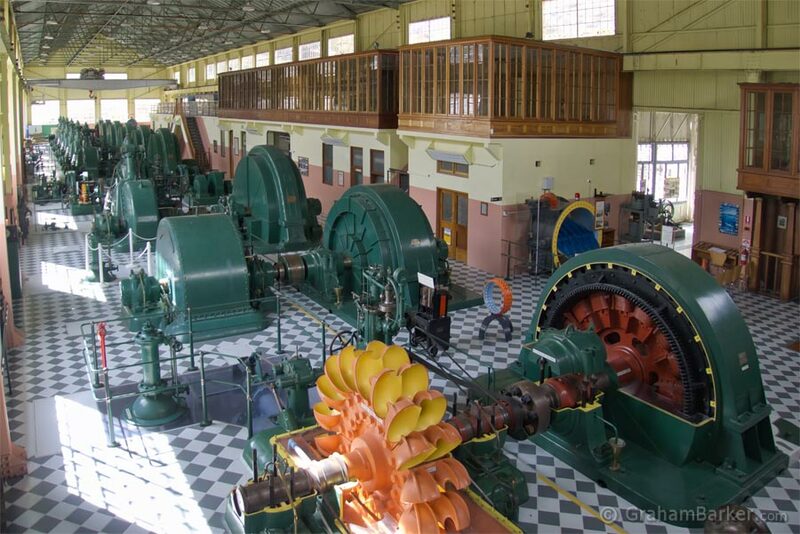 And with hydroelectric power playing such a big part in Tasmania's past and present, Waddamana is a relevant piece of the puzzle for any visitor wanting to better understand the state. My only cautions are concerning the steps and the roads. 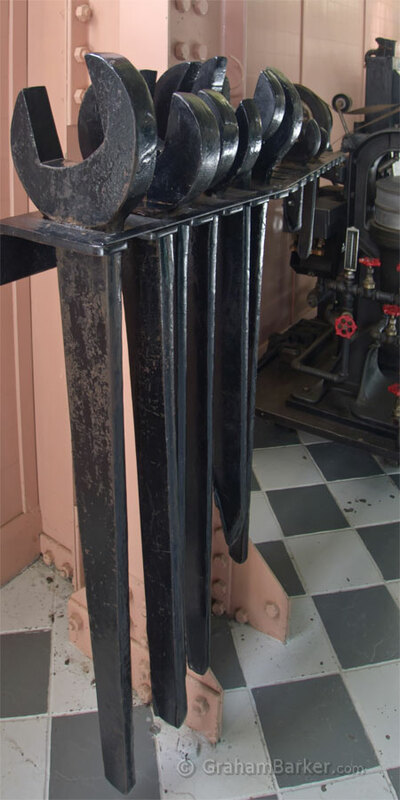 Not being able to go up and down steps would be a barrier to visiting the power station, built in an age when accessibility was an optional afterthought. And in wet or wintry conditions the gravel roads can be a little mushy in places. Waddamana is also a little off the well-travelled tourist routes. That may deter many, but for me it offers a good reason to leave the major routes, and perhaps continue on the "high road" across central Tasmania.